Studying abroad will be a life-changing and enriching experience for you if you decide to take on this adventure. Here are some of the top reasons why you should start planning your university education in a foreign country right now. First of all, studying abroad allows you to immerse in a completely new culture that might be totally different from your own. This is an exciting and unique experience which involves an expansion of your cultural horizon, as you will get introduced to local customs and beliefs at first hand. During this process, many students, including ourselves, encountered that they started to more and more appreciate and value differences instead of wanting everyone to conform to our personal expectations on how things should be done. Studying in a foreign country therefore enables you to see things from a totally different point of view. Furthermore, you will be having lots of encounters with locals and might develop deep friendships. 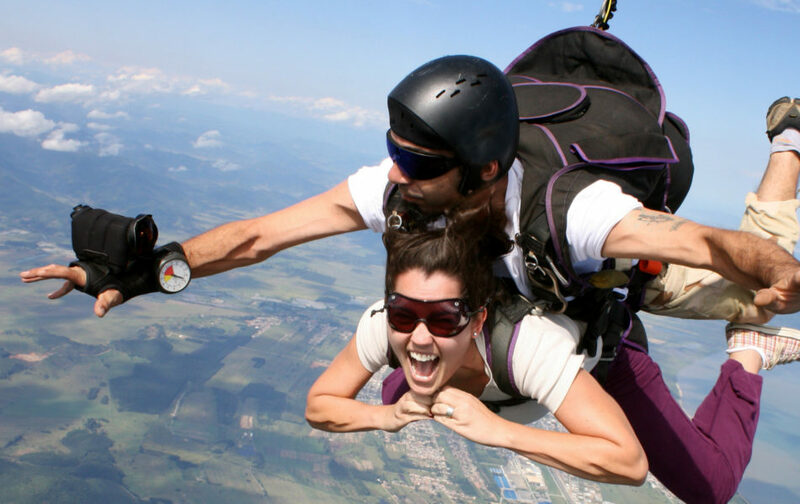 This is certainly something that you could not do while simply going on an ordinary holiday trip to your study abroad destination! Additionally, by leaving your home country, you might also be able to take a step back and engage in the often eye-opening experience of assessing your own country’s norms and practices from an outside perspective. 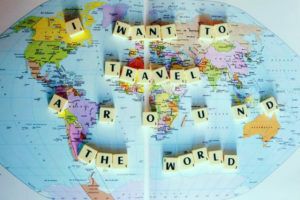 Become a world traveler yourself and explore this fascinating globe! Our earth is too big and diverse to solely stay in one place, don’t you think? But don’t you worry, there is great news! As our world is becoming more and more globalized and since transportation has developed rapidly during the last decades, it is now easier than ever to travel to exotic places! An undertaking that required a lot more hard work and financial resources in our parents’ generation. So, no matter at what stage in life you are currently in; whether you just graduated from high school, have already earned a degree, or are simply looking for ways to develop your career prospects, use this opportunity to broaden your horizon and to thoroughly discover your study abroad destination on the other side of the world. Another benefit of studying abroad in terms of future career opportunities is that you will be able to adapt to unfamiliar situations and environments with ease due to your “training” abroad. Furthermore, you will be educated in intercultural competence and acquire advanced communication skills. Those are critical factors, since many companies tend to expand across borders in our increasingly more interconnected world. Apart from enhancing your career prospects on the employment market in your home country with your gained international experience, you might as well take advantage of the exceptional opportunity to seek for an internship in your host country. This, in fact, represents a chance of possibly creating a professional network abroad. Besides the aspects of acquiring valuable professional skills and learning about different cultures, you might also be encouraged to try a new hobby and perhaps even get to know a little bit more about yourself. One of the greatest things about studying abroad is that you will grow as a person (although not physically). Looking back at our own experiences studying abroad, we all realized that it had greatly helped us successfully leaving the nest our parents had provided for us and gradually becoming independent and proactive adults. Additionally, as the new environment is most likely offering a wealth of activities that are not to be found at home, you might start to pursue an exotic hobby. That is, being abroad, thousands of miles away from your daily routine and the drab monotony of everyday life, encourages everyone to come out of their little shell. Whether it is your first bungee jump, discovering your passion for salsa dancing, or starting to ride the waves on a surfboard. Although learning a new language in a classroom or even on your own in your home country can be quite successful, we believe there is nothing that can beat being in the country your target language is actually spoken. Being in an environment where you naturally hear the language at any time of the day and are actively more or less forced to speak it, you will be losing any kind of fear that you might still have talking to native speakers. Certainly, the very thought of being surrounded by people who do not share the same mother tongue as you might be a bit scary at first. However, taking up this challenge is definitely worth it, because eventually your language skills will improve dramatically in no time! 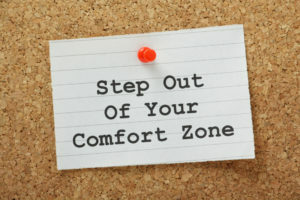 In case those benefits – along with the multiple other personal reasons that you might have and that speak for studying abroad – made you curious about starting your own adventure, you can find more information on your preferred study destination, available programs, and individual universities right here on this website.